A versatile EDC shovel designed to support both outdoor and tactical communities the SCHSH1 both folds for easy storage… and telescopes to its full length of over 19 inches. With a concave shovel blade forged from rugged 1055 carbon steel with beveled, sharpened edges the covert black tool serves as both an outdoor multi-tool as well as an instrument of self defense. To deploy the shovel, rotate the locking collar counter-clockwise. Then swivel the blade to the fully open position. Lock the blade into place by turning the locking collar clockwise until the locking washer snugs. Use caution at all times as the shovel blade’s edges are sharp! The handle’s aluminum inner tube expands to any one of five positions. Use your thumbs to disengage the handle lock. Slide the molded polypropylene all-weather T handle to the desired length… and lock into position by pressing down on the Schrade logo of the handle lock. 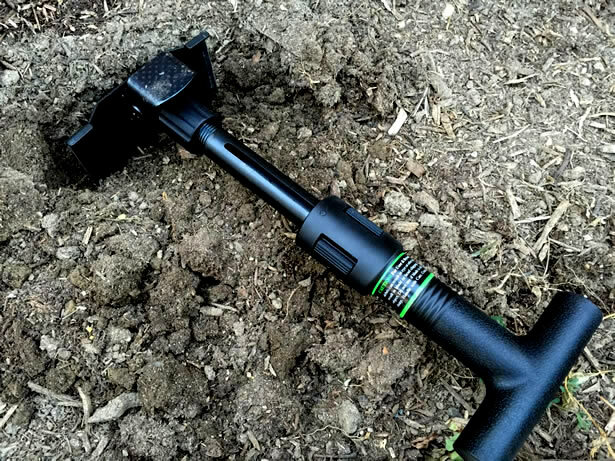 Use the SCHSH1 telescoping folding shovel to dig holes… shovel snow… and light chopping. The steel striking surface can be used to pound tent stakes. Loosen the locking collar and reposition the shovel blade at a 90 degree angle for digging furrow… or scraping tree bark. To sheath, fully collapse both the handle and blade… then slide the tool into its black nylon belt sheath where twin snaps secure the blade. Double loops on the backside of the sheath let you carry the SCHSH1 either on your belt… or attached to gear. A versatile EDC and tactical shovel weighing only 2 lbs… crafted from premium materials… and built for a lifetime… this is the Schrade SCHSH1 Telescoping Folding Shovel. One piece of equipment typically considered invaluable by military personnel, but is often overlooked by preppers and survivalists is a collapsible folding shovel. 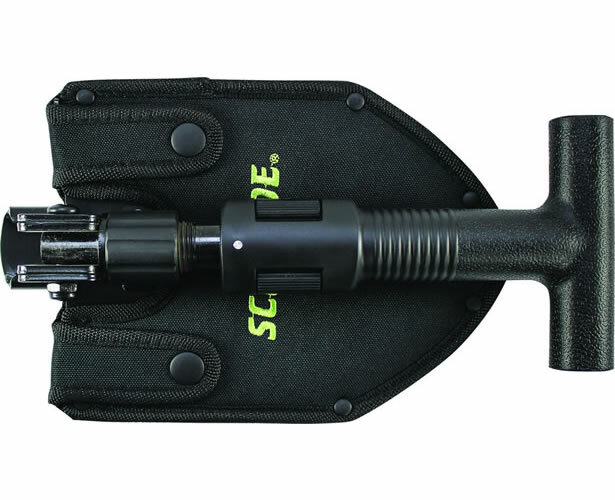 Schrade has engineered a rugged alternative called the SCHSH1 Telescoping Folding Shovel for their 2015 lineup. It is compact, lightweight and worthy of a closer look. At only 2 pounds, I was very impressed at just how lightweight the SCHSH1 really is. And when it is completely collapsed, it easily small enough to fit into an average-sized exterior pocket of a backpack or gear bag. 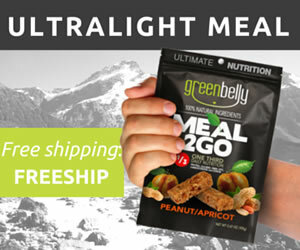 It can also be strapped to the side of a belt or pack as well. Fully collapsed, the SCHSH1 is a little less than 10″ long, 6″ wide and only 3″ high at its thickest point. However, the volume necessary to stow the SCHSH1 is actually much less due to its shape. The SCHSH1’s hammer and blade are stamped from sheets of 1055 carbon steel due to its superior impact resistance, edge retention and other properties that demonstrate ruggedness without becoming too brittle like some alloys with a higher percentage of carbon. 1055 carbon steel is perfect for use in tools like shovel blades, axe heads and machetes that must stand up to a lot of wear and tear. While 1055 carbon steel excels at durability and edge retention, it has little to no stain and corrosion resistance which is actually not much of a consideration for the blade of a shovel. As a result, it is susceptible to rust and corrosion damage without proper care and maintenance. If the blade becomes wet, simply clean and dry it thoroughly and lightly coat it with a protective oil before any long-term storage. As with most tools made from steel, just feed it a little oil from time to time and it will likely last you a lifetime. The SCHSH1’s blade comes sharpened and ready for business. It is easily sharp enough to cut through rope, chop through small to medium-sized limbs, feather wood shavings from a stick, and it could certainly be used as a weapon for self-defense. Always use caution around its sharpened edge. The hammer is basically a 1.5″ x 1.25″ rectangular bracket attached to the shovel’s hinge. It has a lightly knurled texture to prevent slippage when you need to pound on nails, stakes, or for crushing wood fiber, plant material or small stones. To deploy the shovel or a pick, simply rotate the locking collar counterclockwise to unlock the blade. Next, swivel the blade to the desired position and lock the blade in place by turning the locking collar clockwise until the locking washer tightens against the hammer bracket. For a shovel, open the shovel blade all the way. For a pick, swivel the blade to a 90° angle. Reverse the steps to collapse the SCHSH1. I noticed the hammer obstructing access to the locking collar a little. The SCHSH1 has a lightly textured polypropylene T-shaped handle for numerous gripping options. Perfect for use with or without gloves, even in the wettest of conditions. The handle is lined with an aluminum inner sleeve for added strength and durability. The handle slides over a heavy-duty slotted steel tube with five available positions for added versatility. To disengage the handle lock, use your thumbs to pop out the locking clip. Once the handle is set to the desired length, simply press down on the locking clip until it locks the handle in place resulting in the overall length somewhere between 16.5″ and 20″ end to end. The SCHSH1 comes with a plastic-lined rivet-reinforced nylon sheath for extra durability with a dual button strap closures to secure the blade and dual loops on the back are capable of holding a 2.5″ belt or attaching it to a gear bag. 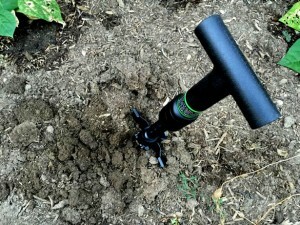 To put the SCHSH1 through its paces I started by digging a few holes around my garden. However, I quickly realized that short of digging a bunch of foxholes I really couldn’t get an accurate reading of its durability over time. I’ve had numerous cheaply made surplus folding shovels that literally fell apart in my hands so I really wanted to thoroughly test the durability of the SCHSH1. As a result, I felt that maybe I could use the SCHSH1 to chop and split some wood and that would either demonstrate its durability or determine likely points of failure… Namely, I was worried about the blade, hinge, locking mechanism and of course the telescopic handle. Before getting too crazy with the abuse that I had planned, I thought I would try feathering a stick to demonstrate just how sharp it really is. Aside from being a little awkward and cumbersome, I found the SCHSH1 was certainly sharp enough to create plenty of finely cut shavings capable of being lit with a common ferro rod. Next, I began chopping on a few small branches varying from 1″ to 3″ in diameter. I cut them into manageable pieces followed by splitting the larger ones into small kindling using only the SCHSH1. It made quick work of the kindling proving itself as a true outdoor multi-tool. However, I did have to tighten the locking collar every so often throughout the testing process. But I did not notice any added play in the shovel’s hinge whatsoever. Additionally, the small amount of play that already did exist in telescopic handle did not seem to get any worse either. Finally, I started chopping away at a large log for a while simply as an exercise to further test the SCHSH1 for any hidden weaknesses in the joints and handle. After about 10 minutes I configured the blade as a pick and began whacking at the log for another 10 minutes or so. Then I came to the conclusion that all of the abuse that I had put the SCHSH1 through did not seem to affect it whatsoever. After all of the testing that I had put it through, I inspected the blade’s edge and did not notice any chipping or rolling of the edge whatsoever. It was never sharp enough to slice through paper so I never did try that… But I was able to create a few more wood shavings without any difficulty. Schrade’s SCHSH1 is a well-engineered collapsable shovel capable of performing well on every single task that I put before it. Crafted from high-quality 1055 carbon steel, I found it to be a rock-solid performer… An absolute beast when it comes to all those things that are normally expected from a good folding shovel, and all those things that are not. I would not be surprised at all to see this shovel lasting a lifetime with proper care and maintenance. The SCHSH1 is very lightweight and it folds down into a fairly small package. 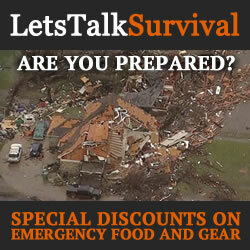 Not only is it ideal for inclusion in a bug-out bag or EDC, it is perfect for everyday use as well. Whether you are digging a small hole in your garden, trenching under a sidewalk, or uncovering a hidden treasure in the great unknown, the SCHSH1 might be the one for you. When it comes to the balance between quality, affordability and durability, Schrade hit this one out of the park. It is a wonder that it can be found for less than $30. Two thumbs up with this one!